KitchenAid 5 Speed Hand Mixer for Only $25.59! Nice! Right now at Target, you can get this KitchenAid 5 Speed Hand Mixer for Only $25.59! With the 5-Speed Hand Mixer from KitchenAid, you can get the most out of your baking and cooking needs without the hassle or mess. 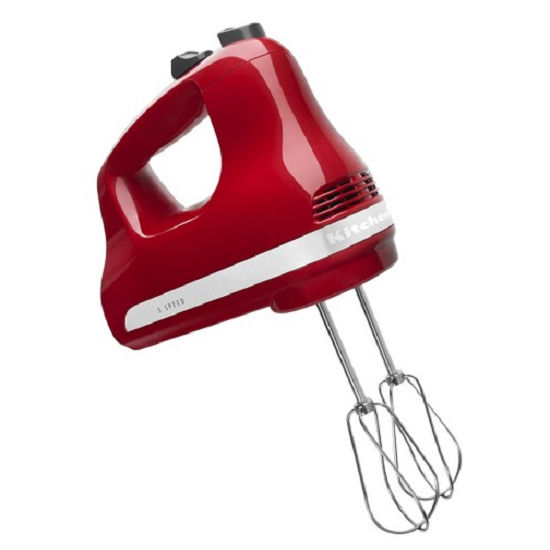 This traditional hand mixer features five speed settings to help you accomplish a variety of whipping, beating and mixing tasks. Designed to be incredibly simple to use, the mixer is lightweight and features a comfort grip handle so you can take on more than just one dozen cookies.